Michael Schoeffling Wife, Family, Bio, Age, Where Is He Now? Home Actors Michael Schoeffling Wife, Family, Bio, Age, Where Is He Now? When it comes to the acting profession, not many have been called to a long-lasting time in front of the camera. While some are like the sun, whose fire has burned for a long time and continues to burn, some have been more like a matchstick, only burning brightly for a short period of time. For those whose life-long dream was a career as an actor, the latter can be a rather depressing reality and for those who simply wanted the experience of being onscreen and enjoying the bit of fame that comes from a short stint in front of the camera, it is very fulfilling. In the case of Michael Schoeffling, it was the fulfillment of a dream. The actor who was known across America and around the world for playing Jake Ryan in Sixteen Candles is now a furniture maker after a brief period as a famous actor. Learn more about Michael Schoeffling below. Michael Schoeffling was born on the 10th of December 1960 in Wilkes-Barre, Pennsylvania. Since he knew his right from his left, he wanted a career in front of the camera. Raised along with his siblings in South Jersey, he attended Cherokee High School before moving on to Temple University to study Liberal Arts, in further pursuit of a career in the entertainment industry. The Pennsylvanian-born Michael Schoeffling lived the dream of many when he was cast as Jack Ryan in the 1984 teenage film, Sixteen Candles. It was the culmination of a life in pursuit of a career in front of the camera that had started since he was a child. Not many get to have the kind of life and career Michael has had. Right from high school and college, he started picking up achievements. While he was still in school, he was a competitive wrestler, and a successful one too. He competed in several national and international competitions and won personal medals, including a gold medal for the United States in a National Junior Wrestling Team meet in Munich, Germany. After conquering sports, he proceeded to his pursuit of an entertainment career. He got his start in the entertainment industry as a model, through his good looks and extremely charming face. He even modelled for the notable magazine, GQ. Michael had the benefit of having someone who believed in him and his dream to become an actor in the person of Bruce Weber, a photographer he worked with at GQ, who paid for his acting classes at the Lee Strasberg Theatre Institute. That belief in Michael yielded fruits in 1984 when he was cast in his very first role as Jake Ryan in Sixteen Candles. The film itself has gone on to achieve cult status, including his role as Jake Ryan which once had an article written about it by the Washington Post titled ‘Real Men Can’t Hold a Match to Jake Ryan of Sixteen Candles’. 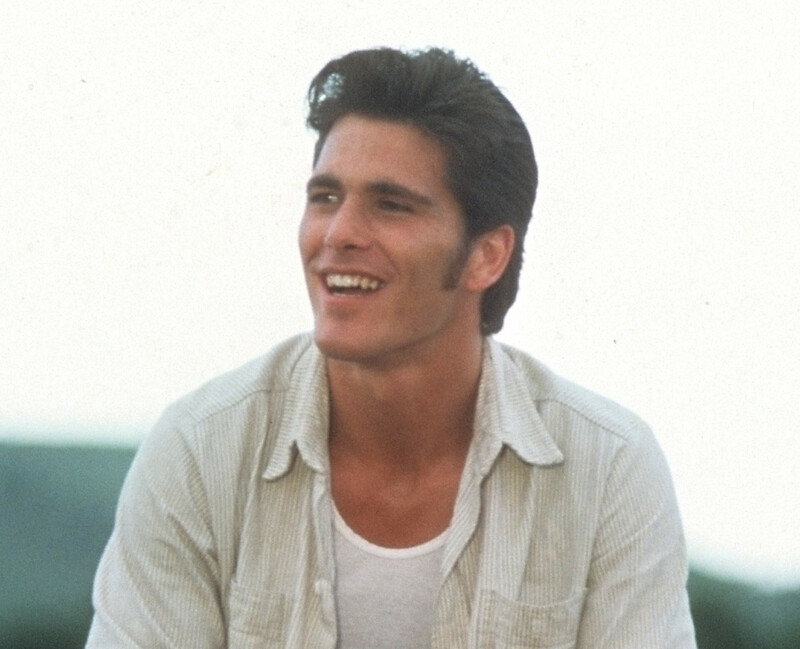 After the film, Michael Schoeffling starred in nine more films including Mermaids and Slaves of New York and in television as Lance on an episode of Deadly Nightmares in 1986 before he retired from acting in 1991. According to Michael himself, his retirement was the result of a growing family and his lack of roles. Michael Schoeffling’s career candle burned brightly for seven years. Although it may not have been the long career he envisioned in front of the camera, he can look back with satisfaction that he created a timeless piece of Hollywood cinema. Michael Schoeffling’s retirement was forced by his desire to provide for his family. An admirable trait that exists in both the man and the character he is famous for. He is married to Valerie C. Robinson, who like Michael, is also a former model. The couple has been able to raise two children thus far – Scarlet and Zane. The beautiful family currently lives in Newfoundland in Pennsylvania. Where is Michael Schoeffling Now? With acting and modelling behind him, Michael has turned his attention to furniture making. The Sixteen Candles star, whose seven-year run in Hollywood helped to build a net worth of $500,000, now runs a woodworking shop in Newfoundland, Pennsylvania where he makes handcrafted furniture and sells to interested customers. A simple look at his life suggests walking away from Hollywood hasn’t been a regrettable decision.